Camp Cruz is a unique, private campground in a cathedral of California redwood trees that serves as the base camp for Growing Up Wild, a local nonprofit outdoor environmental education program that brings together diverse groups of youth to connect with nature, learn life skills, and build character (Learn more at growingupwild.org). 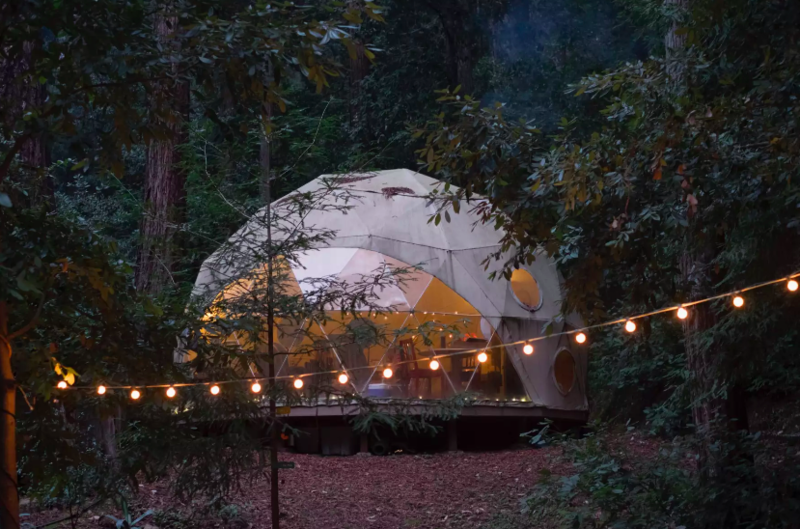 We are excited to partner with Camp Cruz for a 10-day AirCrete Dome Building Workshop that will enable Growing Up Wild to get more youth outdoors, and to introduce today's younger generations to the alternative building movement. Camp Cruz is just a 60 minute drive from San Jose International Airport, and a 40 min drive from Santa Cruz, in the middle of the Santa Cruz mountains. -> Join your hands and heart in a joyous team effort. -> Make AirCrete with Domegaia's unique tools. -> Make forms for blocks, archways and round windows. -> Build a dome using a compass arm. 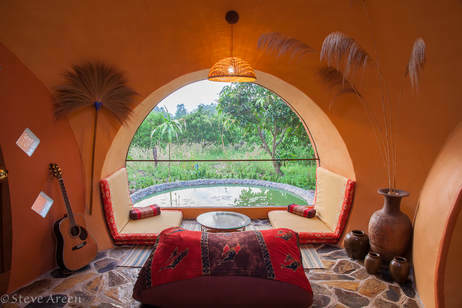 -> Build a fabric formed single-pour round window. -> Build a solid wood oval door. -> Build a multi-faceted cupola skylight. Our teaching style is very hands-on and free flowing. You can move freely between organized teams and decide how involved you want to be. Or you may want to explore your own unique creativity! There's plenty of fun for everyone! 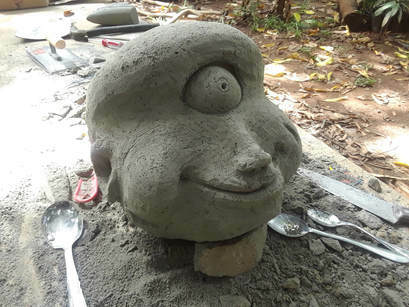 *Additional notes: During the 10-day workshop, we build a basic dome structure. This does not include plumbing, electrical, or flooring. We do our best to complete the AirCrete dome during the workshop. However there is no guarantee of completion. Unexpected obstacles like weather conditions, for example, may prevent the dome’s completion. 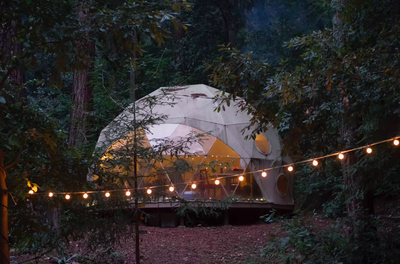 We've come a long ways since our first domes which were made of clay bricks and cinder blocks. 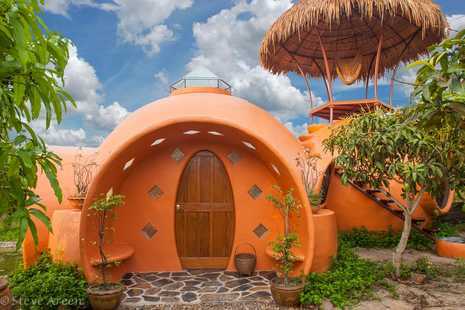 Now we'll teach you how to build your own dome home with AirCrete - an amazing material that you can make yourself almost as easy as making pancake batter. 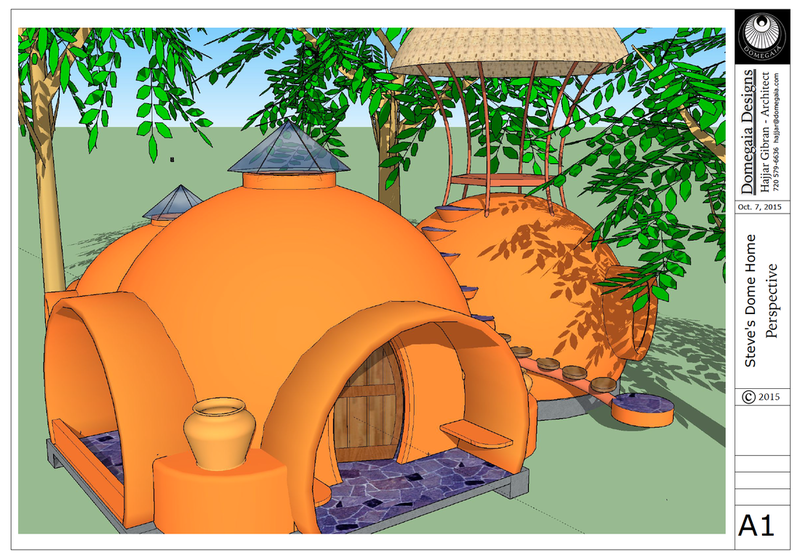 Learn to build a low cost dome home that is waterproof, fireproof, termite proof, rot proof, insulated, eco friendly, non toxic, and durable against the forces of earthquakes, hurricanes, tornadoes, etc. Camp Cruz offers packages for builders of all budgets. The cost of accommodation is for May 20-30 inclusive of all meals and access to campsite amenities. 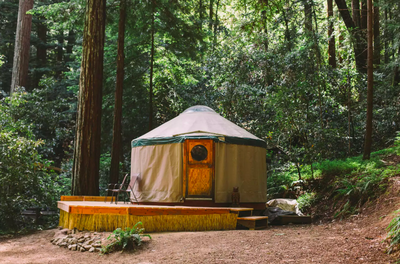 We highly recommend that you choose to stay at Camp Cruz for the workshop rather than finding your own accommodations off-site. 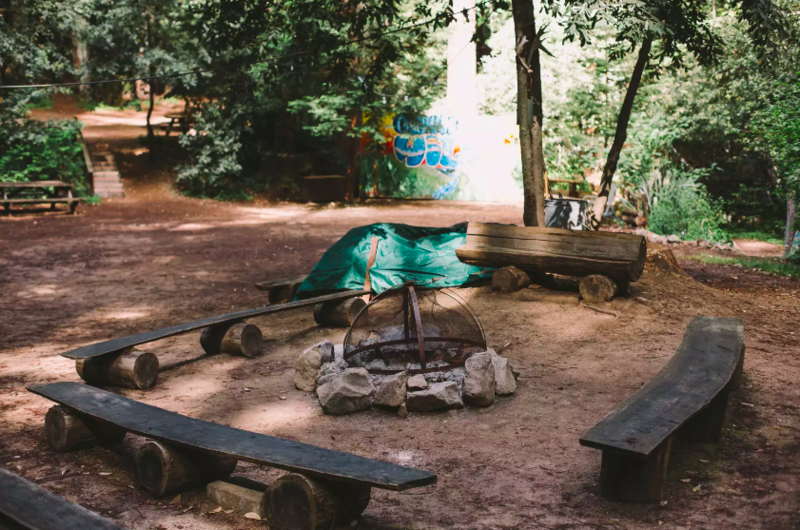 Staying together on-site allows for richer community building and experiences to be enjoyed together, including nightly campfires that always encourage story telling and musical talent sharing! All accommodation options and reservations can be made directly through Camp Cruz. We plan 1 or 2 afternoons for the group to enjoy local attractions. Lunch and dinner will still be served on these days! Please note: Registration for the workshop tuition and accommodations & meals are separate. Please secure your workshop space and then reserve your accommodations as directed below. If you wish to come earlier or stay longer after the workshop dates, please make those reservations as soon as possible as space is limited. Thank you! Variety of accommodation packages available! If you have any questions, please contact us at info@domegaia.com. 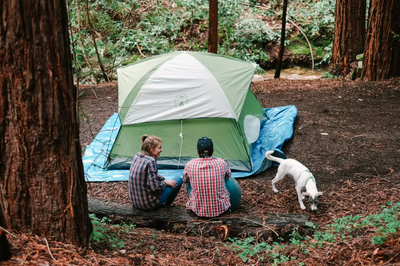 We look forward to building with you in the Santa Cruz mountains of California! More than 4 weeks prior to the first day of the workshop - full refund. 2-4 weeks prior to start day of workshop - half refund. ​If the workshop has to be cancelled for some unfathomable reason, you will receive an immediate full refund.